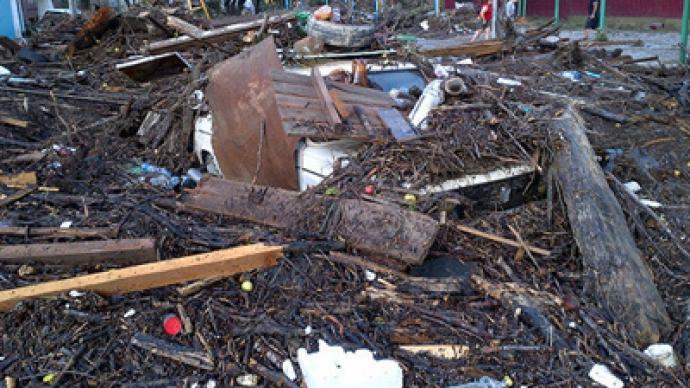 Four people have died, three more are missing and over 1,500 have been affected by a devastating deluge that inundated the region, already severely battered by the deadly disaster in July. ­Three of the dead have already been identified, Emergency Ministry says. They are reported to have been tourists. The overall number of those affected by the disaster currently stands between 1,500 and 1,800 people, according to different sources. The heavy rainfalls battering the area in the last 24 hours – in some places the average monthly falls – triggered the flooding. 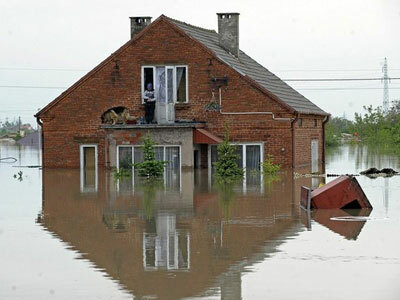 As a result, the Novomikhailovsky, Tenginka and Lermontovo settlements in Russia’s southern Krasnodar Region were flooded. The level of water was up to 2.5 meters high, according to local officials. The waters have damaged over 600 households in the area, plus a school and a hospital, from where 150 patients had to be evacuated. A state of emergency has again been introduced in the area. Over 1,300 rescuers are currently working at the scene alongside volunteers. With the water level gradually receding, people have begun to return to their homes, battered by the disaster. The flooding has caused massive electricity disruptions. Local residents also report food shortages via Twitter. It has been reported more than 11,000 people are still without electricity. Witnesses also post on Twitter that there’s currently a 5-kilometer traffic jam on the road to Novomikhailovsky. Emergency officials say the sirens and loudspeakers were used to alert the local population and tourists, and the state of emergency was introduced as early as 1am local time. However, some of the residents point out they couldn’t hear anything because of the rain, and that mobile communication has also been disrupted. “The road turned into a wild torrent, bridges were destroyed by the floodwaters. Some of the neighbors say that the sirens were wailing, but we heard nothing: the patter of the rain covered it all,” one of the witnesses reports, according to Interfax. 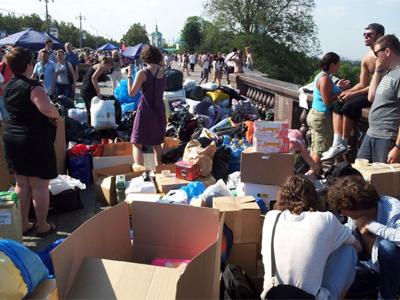 The disaster comes a month after catastrophic flooding destroyed the city of Krymsk, also in the Krasnodar Region. Over 170 people lost their lives in that disaster, with 35,000 people having been affected by the worst flooding to hit the region in decades. 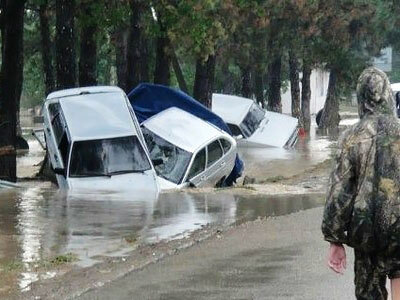 The deluge took the greatest toll on the city of Krymsk, but also inundated the cities of Gelendzhik, Novorosiisk.